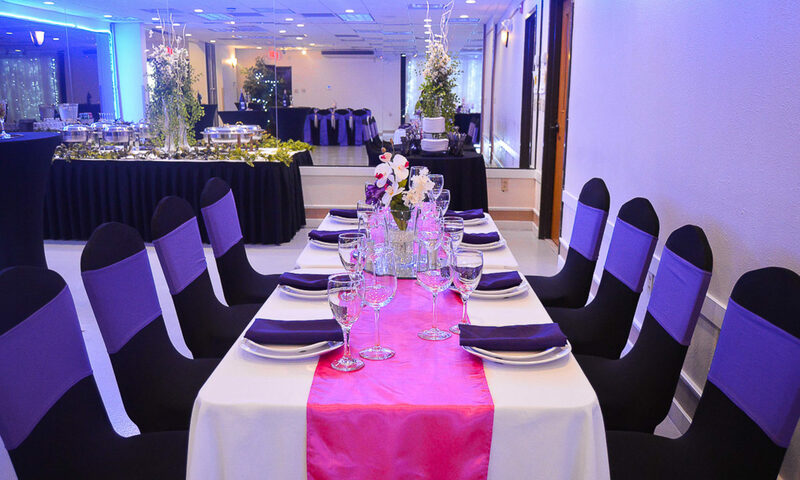 BLACK OR WHITE Chair covers. Dinnerware at the table is the first item that meets the diners’ eyes. 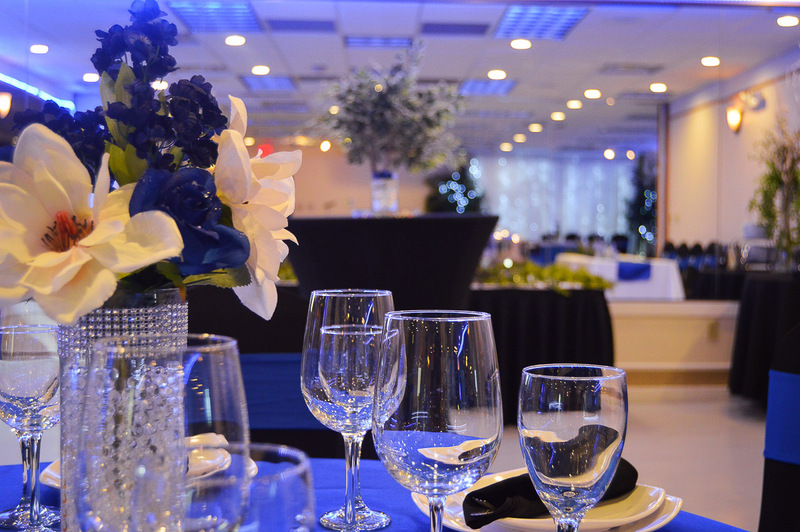 Upscale your event with our eye catching, soft edge, white plates, glassware and cloth napkins for a fee. 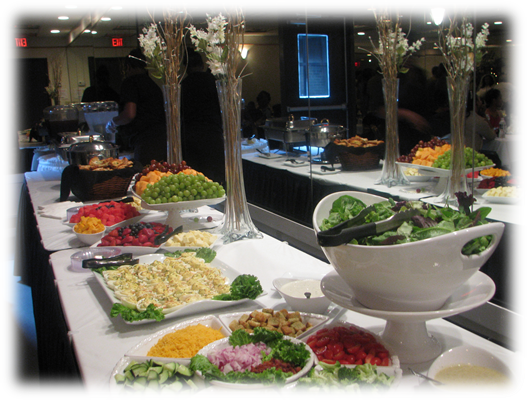 We provide the Cash Bar option where your guests pay for their alcoholic beverages or the Host Bar option with our FULL BAR PACKAGES. Our Beer & Wine package is available, along with a variety of spirits from our Blue Sapphire and Black Diamond packages. 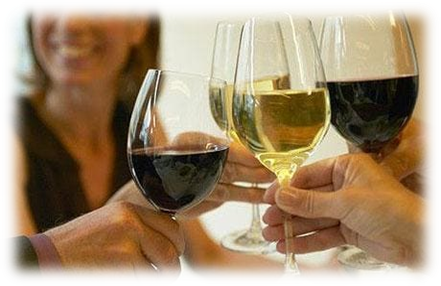 Or simply relax and enjoy our specialty drinks from our Cocktail Pairings we’ve suggested for our CvMenuCHOICE. DJ Services: We offer a wide range of crowd pleasing music, up to (4) hours for a fee. 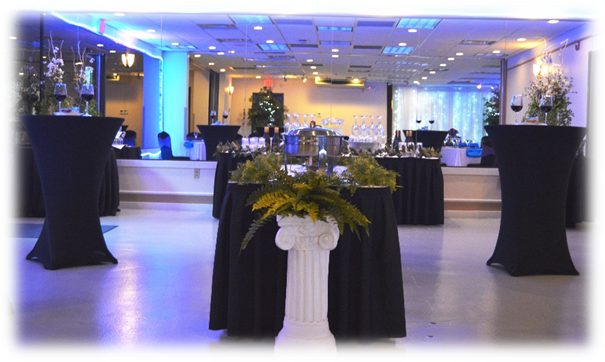 Special lighting effects and signature monogramming is available at an additional charge. House Music: Also available is our list of up-to-date music in jazz and easy listening for a fee of $50. We have several equipment devices that can be rented for $50 per item.